PokerStars’ final online poker festival of 2018 will be its Winter Series that kicks off on December 23 and will pay out $40 million in guaranteed prize money. As we expected last week already, the PokerStars Winter Series have now been officially announced. The Winter Series will extend into the new year, finishing up on Monday, January 7. The schedule consists of 240 tournaments spread out over four tiers categorized as Micro, Low, Medium and High. Each tier will host the same 60 events. Micro tournament buy-ins start as low as $0.55. The biggest entry fee for High Roller events is $5,200. With such a wide range of buy-ins, there are tournaments available for every imaginable bankroll. 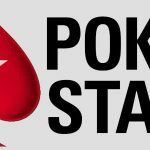 This marks the second iteration of PokerStars’ Winter Series after a successful inaugural run in 2017. 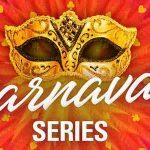 Last year’s edition was a modest 152 events that paid out more than $38 million in prize money, shattering the combined guarantees by a wide margin. The $40 million guaranteed in the 2018 Winter Series is likely to be smashed as well despite players’ family commitments over the holidays of Christmas and New Year. Due to such time constraints, PokerStars has included a healthy dose of Turbo and Hyper-Turbo events on the Winter Series schedule. Headlining the Winter Series are the Main Events for each stake level that will all be played on Sunday, Jan. 6. The Micro buy-in is only $2.20, yet guarantees a whopping $100,000. In the Low category, $22 will get you a seat for a shot at a piece of $750,000 GTD. The Medium tier Main Event requires an entry fee of $215 and players will by vying for at least $1.5 million in prize money. High Rollers who buy-in to the High Main Event for $2,100 can expect a much smaller field of players aiming for the $1.5 million guarantee. 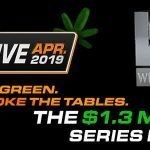 Incidentally, players who can afford high stakes may want to mark Wednesdays on their calendars as a $5,200 buy-in High Roller will be hosted on that day of the week during the entire Winter Series. Also worth noting is that PokerStars regular MTT schedule will still be in play during the 16 days of the Winter Series. That’s another $45 million in guaranteed prize money, making it a total of at least $85 million up for grabs From Dec. 23 to Jan. 7. Players can win seats to Winter Series events on the cheap by entering any number of satellites that will be running 24/7. 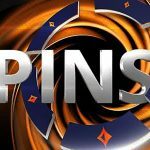 Also, Spin & Go qualifiers for as little as $2.50 can put you in a tournament for a shot at a big payday.